Quick object lesson: you’re digging through a box filled with blue-colored blocks. All of them are blue and all of them are the same shape and size. Except for one. As you sift through them, there is a single red block at the bottom (which can itself be avoided, as we’ve explained elsewhere). It stands out from the other blocks; it’s different, unique, especially when seen side-by-side with all of the other blocks. It’s actually using the uniformity of the others to distinguish itself. Second object lesson: you’re an HR clerk, underpaid, overworked, digging through a stack of resumes that your boss forced you to print (he’s not a very eco-friendly individual, unfortunately). It’s nearly midnight and your company’s Senior Accountant role has secured over a thousand responses within the first three weeks, from all over the world, including a rather shocking number of bartenders, stay-at-home moms, and even a few Pakistani electrical engineers… and they are all starting to look a little bit… blue. Except for one. OK, maybe it’s not the color in this case (since most of our resumes are monochrome, unless you go the videography route and let the whole world mock your video resume gone viral on YouTube). Maybe it’s the shape or the format or the way it’s organized or, dare I say it, the neatly arranged bullet points. Or maybe it’s what the resume says: reading like the job description written back to you with examples. No need to squint; it reads loud and clear. Let’s get a few obvious items out of the way first, quickly: correct grammar and spelling are absolutely essential, length is important (short and concise is best), and that cute font you always use to pretend you’re English nobility when proclaiming your undying devotion to your significant other (since your handwriting is more like chicken scratches) is best left to love poetry and as far from your resume as possible. Kids stuff, yes. 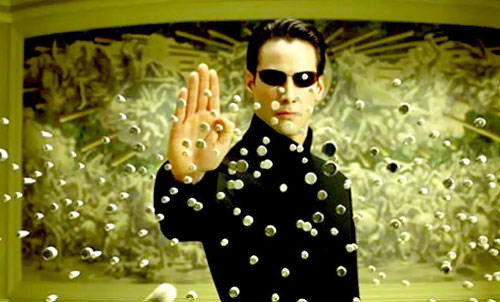 So what makes your resume the red pill in a box full of blue? 1. Dressing: You don’t leave your dirty laundry all over the floor when you have guests coming. Similarly, why leave your resume a mess, with bits and pieces of half-formed ideas strewn about? Organize, prioritize, accessorize, and incentivize. 2. Analysis: Just as HR clerks and company hiring managers are investigating your background, turn the tables and perform some analysis of your own. Do in-depth company research and glean the most important points from the job ads themselves. 3. Identification: In tandem with #2, determine what elements of your profile should be emphasized that show how well you match both the company and the role. Whatever problems the company needs addressing, that’s what your resume should be telling the employer. Their eyes should glance back and forth from the job description and your resume, with them getting confused as to which is which (metaphorically, of course). 4. Numerology: Nothing says accomplishment like a $ sign and a bunch of zeros. If all of your achievements are vaguely worded like “I increased sales” or “I helped save the company money”, you’re leaving it up to the HR clerk to imagine you sold the product to your extended family and bought cheaper coffee for the break room. Emphasize the details: if you dramatically increased sales in your division, say that you increased them by $200,000, by 95%, or similar. Bold it, italicize it, blare it on the cover letter. 5. Strategery: Resumes that read like a laundry list of responsibilities and repeat over and over again between different employers are boring, redundant, and inefficient selling tools. Don’t bring a wooden spoon to a knife fight. Instead of just listing your duties, bring your professional achievements to bear. 6. Branding: Stories sell. Your resume is YOUR story. If branding sounds like you’re going to put some pretty watermark in the background of your resume with your signature and astrological sign, then you’ve missed the five thousand Yahoo! articles that have beaten this to death. Your brand sums up everything about you professionally that you want your “customers” (in this case, companies) to think, remember, and internalize when they think of you. So your resume should portray this in as many ways as possible. This all many seem like play-play still and it is, of course, just the tip of the iceberg. If you can turn a pair of glasses into a computer and a Delorean into a time machine, then pretty soon we’ll all be mocking each other’s video resumes and doing tweet interviews with Gallup polls responding via chat forums on their iPhones from a coffee shop in Zurich. And that will be… progress, somehow. But until that fateful day, don’t send your resume out there defenseless and unprotected. Start with the basics and then give us a call to ensure your resume isn’t just fortified but bulletproof. This entry was posted on Friday, October 26th, 2012 at 9:39 am	and is filed under resume writing. You can follow any responses to this entry through the RSS 2.0 feed. You can leave a response, or trackback from your own site.